Ensure your products are kept in perfect condition and protected against scratches and abrasions by wrapping with foam wrap rolls. Ideal for glass and polished wood as it is lint and dust free and its white finish provides a clean look. 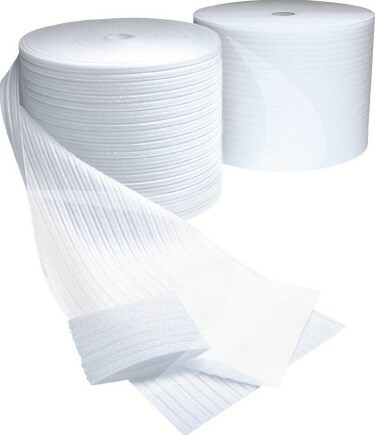 Flexible and lightweight foam wrap easily conforms to a variety of products. Manufactured from up to 35% recycled pre-consumer resin to produce a closed cell polythene foam with a density of 20 kg/m³.